Real information. Real stats. By a real Realtor. Get past the hype & let's get real in Real Estate! Does it sound like more of an inconvenience than a great idea? Most “experts” will tell you that Spring is the best time to list a house for sale, though that may be fairly accurate, selling your home during the holidays comes with numerous benefits as well! Whether to sell or not at the end of the year has more to do with your particular situation and the market. First, a few tips to consider. 1. Decide if you really want or need to sell at this time. What is your plan? Why do you want to sell? Where will you go? Once you are committed to the challenge, be sure to, 2. 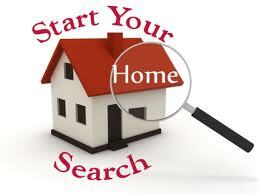 Hire a reliable real estate agent. You want someone who is not going to disappear during this crucial time. Ask friends & family to refer you to someone they know & trust. Interview the agent(s): ask questions, learn their marketing strategy, and get a feel for their integrity & willingness to go above & beyond to get your house sold quickly & for top dollar. 3. Don’t overdo it on the holiday décor; you do not want to make the house feel cluttered or distract the buyer from looking at the house. 4. Price your house to sell. Regardless of what you have done to the house, what your neighbor sold for, or what you originally bought it for, it is only worth what the buyer is willing to pay. 5. Curb appeal is still important in the Fall & Winter months. Be sure to rake leaves, keep gutters clean, clear walk ways of snow & ice. In the South, you can even get away with planting some colorful cool-weather flowers. 6. Keep your house warm & inviting. If you know your house is about to be shown, light an aromatic Fall-scented candle, light the fireplace, or bake some cookies, leaving them to cool on the stove top (maybe with a little note telling buyers to help themselves!). You want to appeal to all five senses if possible. If you are still on the fence whether or not to sell your home during the holidays, the following are the Top Ten Reasons why you should consider it. 10. By selling now, you may have the opportunity to be a non-contingent buyer come Spring, when many more houses are on the market for less money! This allows you to sell high & buy low! 9. You can sell now for more money & your agent should be able to provide for a delayed closing, or extend occupancy until early next year. 8. January is traditionally the month for employees to begin new jobs. Since those transferring to the area cannot wait until Spring to buy, they buy your home! 7. Some people must buy before the end of the year for tax purposes. 6. Buyers typically have more time to look for a house during the holidays than during a normal work week due to the extra time off from work. 5. Buyers are more emotional during the holidays. They are in the buying & giving spirit, so they are likely to pay full asking price. 4. Houses show better when tastefully decorated for the Holidays. 3. Housing supply typically increases in January & February which means there will be more listings competing against yours. More competition means less money for you. 2. Even though your house is listed, you still have the option to restrict showings during the few days around the holidays where you might have a house full of guests, or gifts scattered everywhere. 1. People who are looking for a home during this time are more serious buyers! The Holidays give serious buyers the opportunity to scoop up a great home, for a great price, and they will be most appreciative, especially if there is a lack of good inventory in the area, which is an issue the market has been dealing with all year. So, give the best gift ever to someone this Holiday Season, a new home! The same applies every season!! find your home & more information here!